Silver 2016 Honda CR-V LX FWD CVT 2.4L I4 DOHC 16V i-VTEC IPOD/USB PORT, BLUETOOTH, DONT LET THE MILEAGE FOOL YOU ON THIS HIDDEN GEM!! 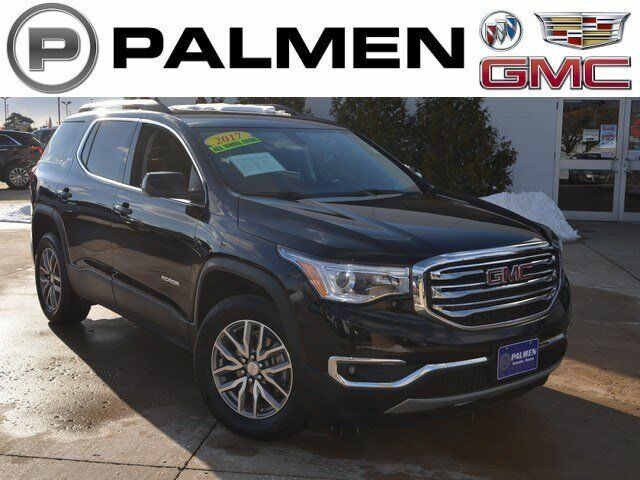 !, CALL OR TEXT JODI AT 262-748-8005, PALMEN BUICK GM CADILLAC ONLY 15 MIN FROM IL AND 20 MIN FROM MILWAUKEE, #1 RATED AUTO DEALERSHIP FOR CUSTOMER SATISFACTION IN 2015. Quicksilver Metallic 2017 Buick Encore Preferred FWD 6-Speed Automatic Electronic with Overdrive ECOTEC 1.4L I4 SMPI DOHC Turbocharged VVT IPOD/USB PORT, BLUETOOTH, **ONE OWNER**, **ACCIDENT FREE AUTOCHECK**, **LOCAL TRADE**, CALL OR TEXT JODI AT 262-748-8005, PALMEN BUICK GM CADILLAC ONLY 15 MIN FROM IL AND 20 MIN FROM MILWAUKEE, #1 RATED AUTO DEALERSHIP FOR CUSTOMER SATISFACTION IN 2015. Graphite Gray Metallic 2016 Buick Encore Premium AWD 6-Speed Automatic Electronic with Overdrive ECOTEC 1.4L I4 SMPI DOHC Turbocharged VVT IPOD/USB PORT, BLUETOOTH, **ONE OWNER**, **ACCIDENT FREE AUTOCHECK**, **LEATHER**, **NAVIGATION/GPS**, **AWD**, **REMOTE START**, **HEATED SEATS**, CALL OR TEXT JODI AT 262-748-8005, PALMEN BUICK GM CADILLAC ONLY 15 MIN FROM IL AND 20 MIN FROM MILWAUKEE, #1 RATED AUTO DEALERSHIP FOR CUSTOMER SATISFACTION IN 2015. Carbon Black Metallic 2015 Buick Encore Convenience AWD 6-Speed Automatic Electronic with Overdrive ECOTEC 1.4L I4 SMPI DOHC Turbocharged VVT IPOD/USB PORT, BLUETOOTH, **ONE OWNER**, **LOCAL TRADE**, **AWD**, **REMOTE START**, CALL OR TEXT JODI AT 262-748-8005, PALMEN BUICK GM CADILLAC ONLY 15 MIN FROM IL AND 20 MIN FROM MILWAUKEE. Certified. 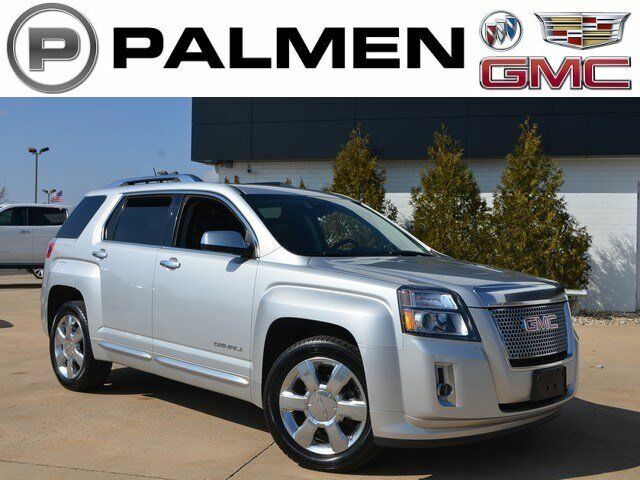 Ashen Gray Metallic 2014 GMC Terrain SLE-1 FWD 6-Speed Automatic 2.4L 4-Cylinder SIDI DOHC VVT IPOD/USB PORT, BLUETOOTH, **ONE OWNER**, **ACCIDENT FREE AUTOCHECK**, **LOCAL TRADE**, **GM CERTIFIED**, CALL OR TEXT JODI AT 262-748-8005, PALMEN BUICK GM CADILLAC ONLY 15 MIN FROM IL AND 20 MIN FROM MILWAUKEE, #1 RATED AUTO DEALERSHIP FOR CUSTOMER SATISFACTION IN 2015. Black 2017 Chevrolet Equinox LS FWD 6-Speed Automatic with Overdrive 2.4L 4-Cylinder SIDI DOHC VVT IPOD/USB PORT, BLUETOOTH, **ONE OWNER**, **ACCIDENT FREE AUTOCHECK**, **LOCAL TRADE**, CALL OR TEXT JODI AT 262-748-8005, PALMEN BUICK GM CADILLAC ONLY 15 MIN FROM IL AND 20 MIN FROM MILWAUKEE, #1 RATED AUTO DEALERSHIP FOR CUSTOMER SATISFACTION IN 2015. Midnight Amethyst Metallic 2017 Buick Envision Preferred AWD 6-Speed Automatic 2.5L 4-Cylinder DGI DOHC VVT IPOD/USB PORT, BLUETOOTH, **ACCIDENT FREE AUTOCHECK**, **LOCAL TRADE**, **LEATHER**, **AWD**, **REMOTE START**, **HEATED SEATS**, CALL OR TEXT JODI AT 262-748-8005, PALMEN BUICK GM CADILLAC ONLY 15 MIN FROM IL AND 20 MIN FROM MILWAUKEE, #1 RATED AUTO DEALERSHIP FOR CUSTOMER SATISFACTION IN 2015. 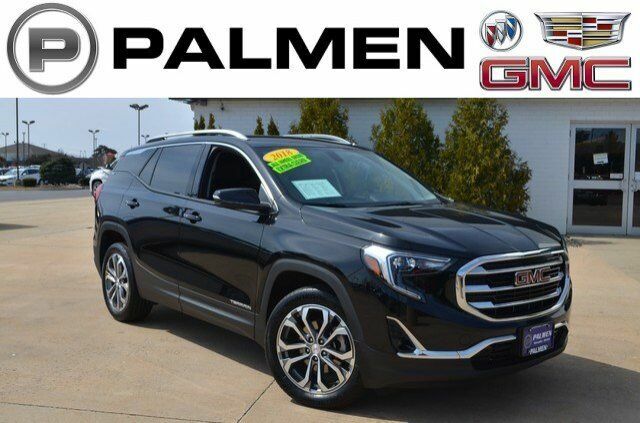 Ebony Twilight Metallic 2018 GMC Terrain SLT AWD 9-Speed Automatic 2.0L Turbocharged IPOD/USB PORT, BLUETOOTH, **ONE OWNER**, **ACCIDENT FREE AUTOCHECK**, **LEATHER**, **NAVIGATION/GPS**, **AWD**, **REMOTE START**, **HEATED SEATS**, CALL OR TEXT JODI AT 262-748-8005, PALMEN BUICK GM CADILLAC ONLY 15 MIN FROM IL AND 20 MIN FROM MILWAUKEE, #1 RATED AUTO DEALERSHIP FOR CUSTOMER SATISFACTION IN 2015, AWD. Midnight Amethyst Metallic 2017 Buick Envision Essence AWD 6-Speed Automatic 2.5L 4-Cylinder DGI DOHC VVT IPOD/USB PORT, BLUETOOTH, **ONE OWNER**, **ACCIDENT FREE AUTOCHECK**, **LEATHER**, **AWD**, **REMOTE START**, **HEATED SEATS**, CALL OR TEXT JODI AT 262-748-8005, PALMEN BUICK GM CADILLAC ONLY 15 MIN FROM IL AND 20 MIN FROM MILWAUKEE, #1 RATED AUTO DEALERSHIP FOR CUSTOMER SATISFACTION IN 2015. 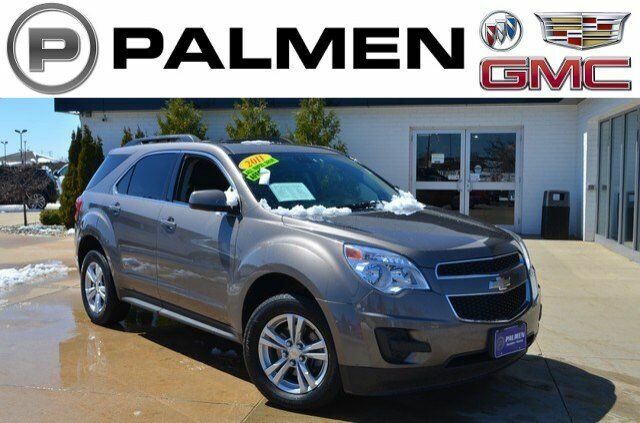 Mocha Steel Metallic 2011 Chevrolet Equinox LT 1LT AWD 6-Speed Automatic with Overdrive 2.4L 4-Cylinder SIDI DOHC **ONE OWNER**, **LOCAL TRADE**, DONT LET THE MILEAGE FOOL YOU ON THIS HIDDEN GEM!! 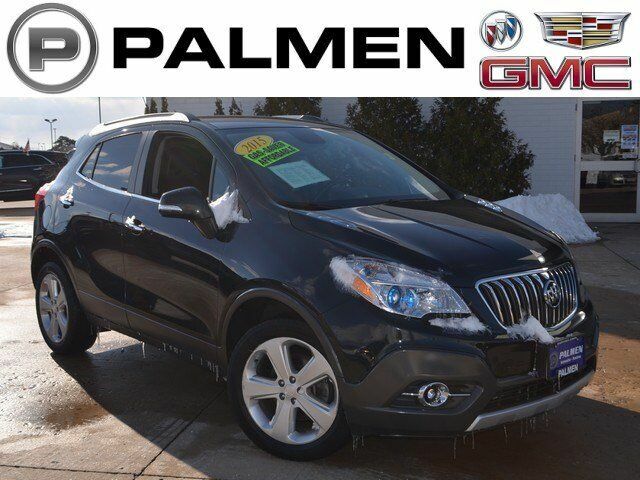 !, **AWD**, **REMOTE START**, CALL OR TEXT JODI AT 262-748-8005, PALMEN BUICK GM CADILLAC ONLY 15 MIN FROM IL AND 20 MIN FROM MILWAUKEE, #1 RATED AUTO DEALERSHIP FOR CUSTOMER SATISFACTION IN 2015, AWD. Ebony Twilight Metallic 2016 Buick Envision Premium I AWD 6-Speed Automatic 2.0L 4-Cylinder DGI DOHC VVT Turbocharged IPOD/USB PORT, BLUETOOTH, **ONE OWNER**, **ACCIDENT FREE AUTOCHECK**, **LOCAL TRADE**, **LEATHER**, **SUNROOF/MOONROOF**, **NAVIGATION/GPS**, **AWD**, **REMOTE START**, **HEATED SEATS**, CALL OR TEXT JODI AT 262-748-8005, PALMEN BUICK GM CADILLAC ONLY 15 MIN FROM IL AND 20 MIN FROM MILWAUKEE, #1 RATED AUTO DEALERSHIP FOR CUSTOMER SATISFACTION IN 2015. 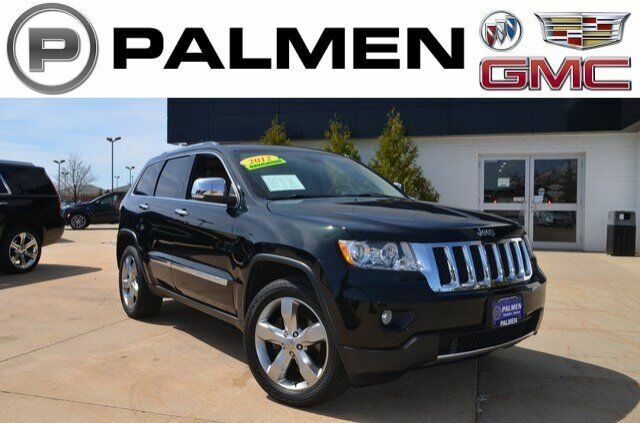 Diamond Black 2017 Jeep Grand Cherokee Limited 4WD 8-Speed Automatic 3.6L V6 24V VVT IPOD/USB PORT, BLUETOOTH, **ONE OWNER**, **ACCIDENT FREE AUTOCHECK**, **LOCAL TRADE**, **LEATHER**, **NAVIGATION/GPS**, **4WD**, **REMOTE START**, **HEATED SEATS**, CALL OR TEXT JODI AT 262-748-8005, PALMEN BUICK GM CADILLAC ONLY 15 MIN FROM IL AND 20 MIN FROM MILWAUKEE, #1 RATED AUTO DEALERSHIP FOR CUSTOMER SATISFACTION IN 2015, 4WD. Odometer is 19973 miles below market average! Certified. 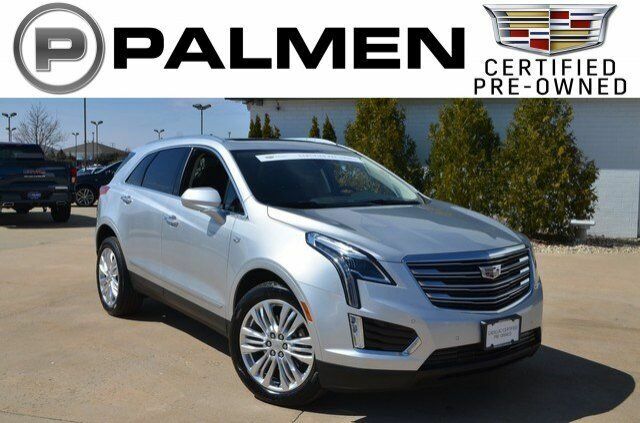 Radiant Silver Metallic 2019 Cadillac XT5 Premium Luxury AWD 8-Speed Automatic 3.6L V6 DI VVT IPOD/USB PORT, BLUETOOTH, **ONE OWNER**, **ACCIDENT FREE AUTOCHECK**, **LEATHER**, **SUNROOF/MOONROOF**, **NAVIGATION/GPS**, **GM CERTIFIED**, **AWD**, **REMOTE START**, **HEATED SEATS**, CALL OR TEXT JODI AT 262-748-8005, PALMEN BUICK GM CADILLAC ONLY 15 MIN FROM IL AND 20 MIN FROM MILWAUKEE, #1 RATED AUTO DEALERSHIP FOR CUSTOMER SATISFACTION IN 2015. 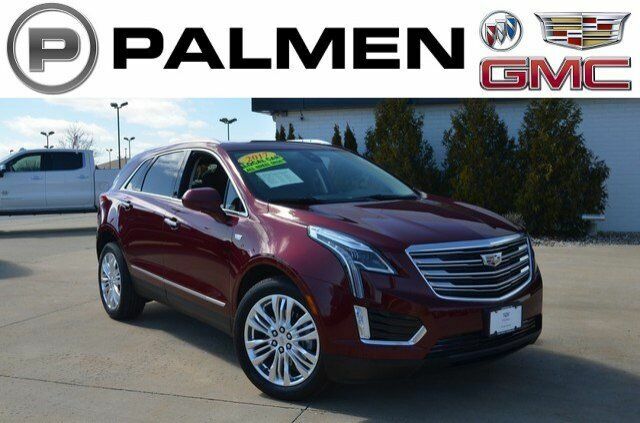 Red 2017 Cadillac XT5 Premium Luxury AWD 8-Speed Automatic 3.6L V6 DI VVT IPOD/USB PORT, BLUETOOTH, **ONE OWNER**, **ACCIDENT FREE AUTOCHECK**, **LOCAL TRADE**, **LEATHER**, **SUNROOF/MOONROOF**, **NAVIGATION/GPS**, **AWD**, **REMOTE START**, **HEATED SEATS**, CALL OR TEXT JODI AT 262-748-8005, PALMEN BUICK GM CADILLAC ONLY 15 MIN FROM IL AND 20 MIN FROM MILWAUKEE, #1 RATED AUTO DEALERSHIP FOR CUSTOMER SATISFACTION IN 2015. 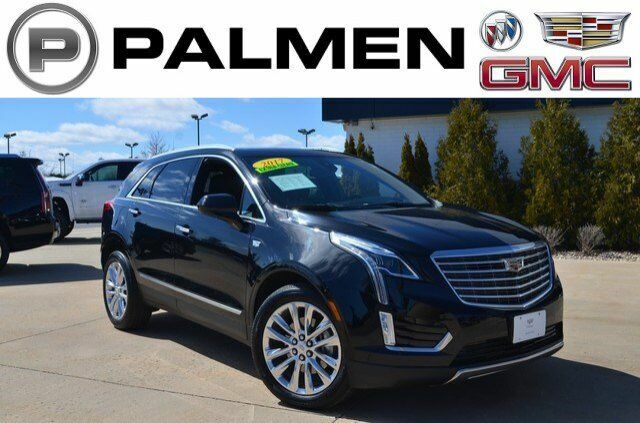 Black 2017 Cadillac XT5 Platinum AWD 8-Speed Automatic 3.6L V6 DI VVT IPOD/USB PORT, BLUETOOTH, **ONE OWNER**, **ACCIDENT FREE AUTOCHECK**, **LEATHER**, **SUNROOF/MOONROOF**, **NAVIGATION/GPS**, **AWD**, **REMOTE START**, **HEATED SEATS**, CALL OR TEXT JODI AT 262-748-8005, PALMEN BUICK GM CADILLAC ONLY 15 MIN FROM IL AND 20 MIN FROM MILWAUKEE. Ebony Twilight Metallic 2017 GMC Acadia SLE-2 AWD 6-Speed Automatic 3.6L V6 SIDI DOHC VVT IPOD/USB PORT, BLUETOOTH, **ONE OWNER**, **ACCIDENT FREE AUTOCHECK**, **AWD**, **REMOTE START**, **HEATED SEATS**, CALL OR TEXT JODI AT 262-748-8005, PALMEN BUICK GM CADILLAC ONLY 15 MIN FROM IL AND 20 MIN FROM MILWAUKEE, #1 RATED AUTO DEALERSHIP FOR CUSTOMER SATISFACTION IN 2015, AWD, jet black Cloth.